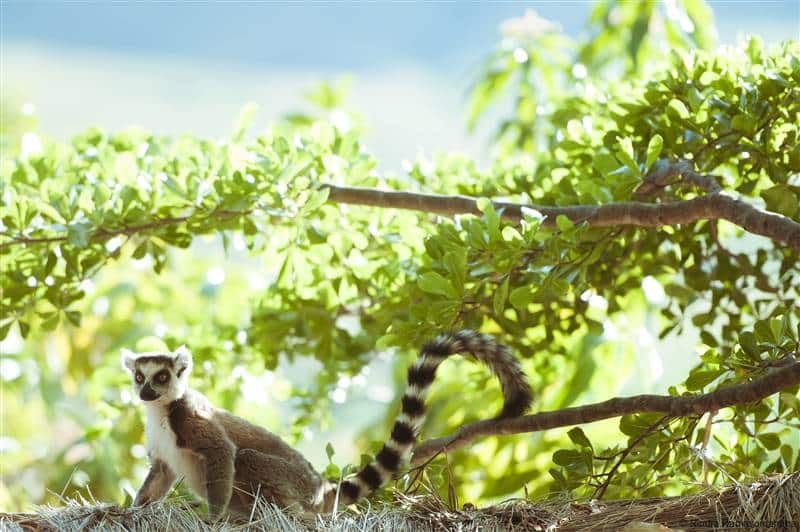 As an inbound tour operator, we want you to be attracted by Madagascar before getting a foot in it. That’s why we suggest you the best of Madagascar rainforest in a 20 days tour starting from Antananarivo – to Maroantsetra. But before coming, discover what is waiting for you during your trip. Hello! We’re really happy to meet you here. Being able to welcome you at the airport at your arrival in Antananarivo from your international flight is such a great privilege. We thought you may need rest, that’s why we are about to transfer you to your hotel, where a room is ready for you. Take time to unpack a bit before dinner. From Day 1 to Day 19, dinner will be served at the hotel (or Camp) where you will stay overnight, so don’t worry about it, we are here to make sure you have everything you need. We hope that this good night of sleep renewed your strength for this new day! Put a smile on your faces, we are about to transfer you to the airport. Once there, you will take a flight to Toliara, located in the Southwest of Madagascar. Are all your bags there? Because we are on our way for a transfer from Toliara to Ifaty where we will give you time to settle at the hotel. After a nap, in the early afternoon (3.30 PM), bring everything you need for your first immersion into the Reniala reserve). Don’t worry about dinner; you’ll enjoy a meal at your hotel, where you will stay overnight. Subdesert Mesite, Lafresnaye’s vanga, Long-tailed Ground Roller, Banded kestrel, Running coua, Archbold’s Newtonia, Madagascar brush warbler, Thamnornis warbler, Sickle-billed Vanga, Green-capped coua. You were up late yesterday? Happy you had enough time to relax, because our departure to explore the towering thorny bushes will be done at dawn. Why? Well, we’ll look for rare endemic bird species. Remember to take your camera and even more important: always apply sunscreen. You know what? It’s a wonderful experience to be able to let mind and curiosity frolicking in the nature. We will constantly look for beauty, even in the simplest thing. During our stroll, you may want to know many bird names. Long-tailed Ground Roller, Subdesert Mesite, Running coua, Green capped coua, Lafresnaye’s vanga, Banded kestrel, Archbold’s Newtonia, Madagascar brush warbler, Thamnornis warbler, Sickle-billed Vanga, Madagascar Plover. In the afternoon (3 PM), we will go to the Belalanda Lake to spot some typical species of migratory shorebirds such as the Baillon’s crakes, the Greater flamingos, and the White throated rails. Don’t wait too long before going to bed, we’ll leave early tomorrow! Yeah! We’re so excited about today: early departure heading back to Toliara. Once there, we will have a boat transfer to Nosy Ve, Anakao. 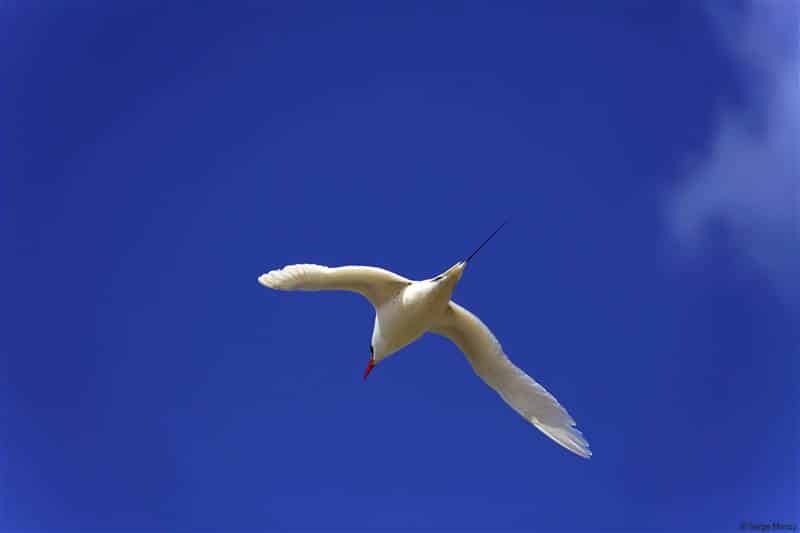 This place is unique due to the opportunity it offers us to discover the red-tailed tropicbird and its littoral rocks thrush. After the visit, we will be transferred back to Anakao to find the crab plover. Then, we will be back at the hotel where you’ll stay overnight. Did you bring your diary or your agenda? We hope you did. Write inside of it, how was the boat transfer back to Toliara this morning. And how was the ride to Saint Augustin Forest? Tell us about the Euphorbia scrub Forest and mangrove mudflats we discovered there. It’s wonderful: today, we will spend our day birding around and we’ll be back in Toliara in the afternoon. You’ll have your dinner and your overnight stay at your Toliara hotel. Our Bird top list of Day 5? Red- Shouldered Vanga, Sub desert Brush Warbler, Lafrenaye’s Vanga. This tour is one of the most complete to discover Madagascar. Today, early in the morning, we will leave Toliara to join to the Isalo National Park. 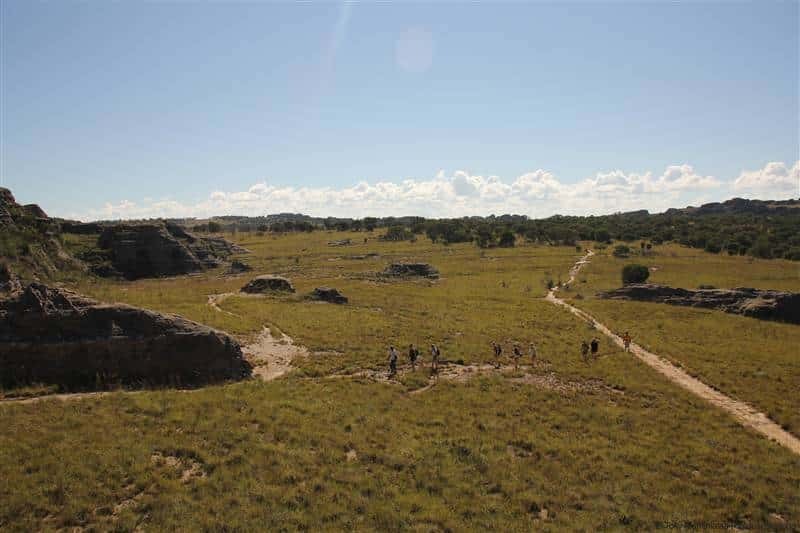 For you to have a taste of what awaits us, we will have a first stop in the Zombitse Vohibasia National Park. This western deciduous forest offers the opportunity to observe the Appert’ Greenbul and the Giant Coua – our bird top list of today. Be ready: we will have a very long road trip to Ranomafana (7h). To make the most of these 7 hours of travel, enjoy the magnificent scenery of savanna, granitic mountains and terrace-rice fields. Before reaching the hotel at Ranomafana, we will stop in Anja’s Private Park: a dry forest located at the foot of an enormous granitic dome. It is now time to discover the « Ring Tailed Lemur »! Go for it! Yeah, today, we will enjoy a full-day visit in the National Park of Ranomafana. This park is located on a rain forested uphill that lies at an altitude of 800 to 1,200 meters. Ranomafana national park was created in 1990, after the discovery of the “golden bamboo lemur” in 1986. Its scientific name is Hapalemur Aureus. 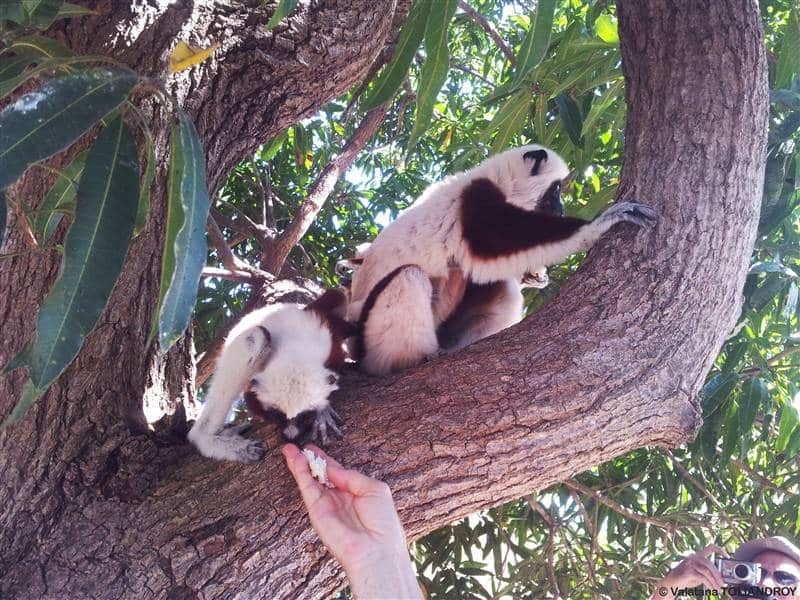 This particular and amazing lemur species has strange eating habits and can’t be seen anywhere else. It’s a very good place to see a lot of rainforest species. Enjoy all this greenery to take a breath of fresh air. Look around you, this is nature: giants green trees, sound of birds and forest all around, and even more: there are lemurs and birds living there! Wow, this is stunning! This is Madagascar! For list lovers, here comes our Bird top list : Brown Mesite, Short legged, Pitta-likeand ruffous-headed Ground rollers, Henst’s Gowhawk, Grey crowned Greenbuls , Madagascar Yellowbrow, Gryptic Warbler, Wedge tailed jerry. After a great night and a good breakfast, we will hit the road to come back to Antananarivo! On the way, we will have the opportunity to discover the typical highland sceneries with its rice paddies and its traditional red clay houses. 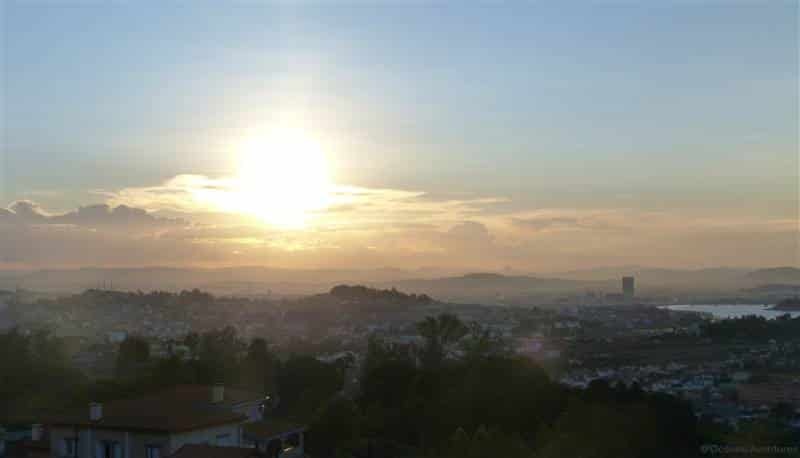 When you will arrive at your hotel in Antananarivo, in the end afternoon, please delight in a nap or rest a bit. Strengthen your body, mind and soul. 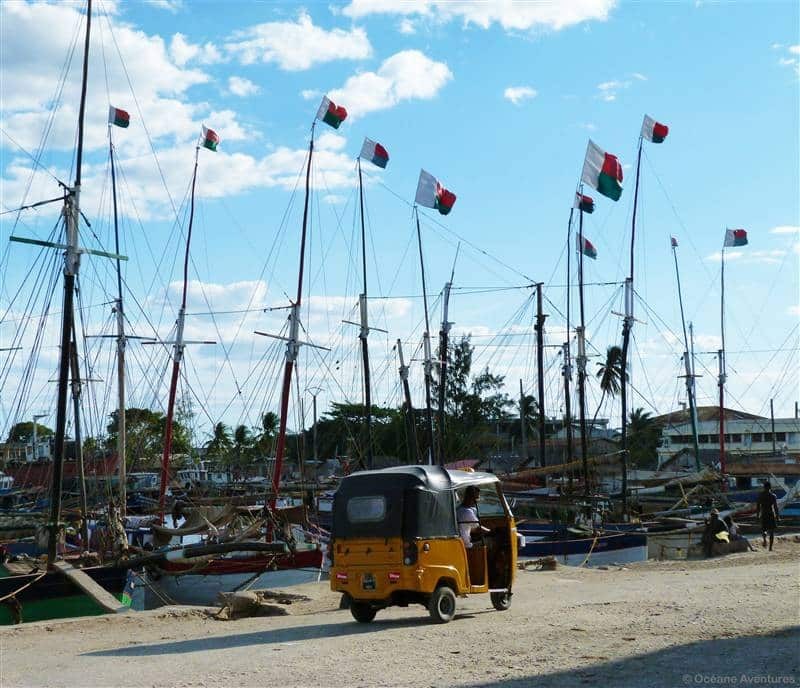 Today, depending on the flight schedule, we will transfer you to the airport for a flight to Mahajanga, on the northwest coast of Madagascar. No worries, we will be there to welcome you and drive you to Ankarafantsika National Park, a shelter for birds and lemurs. The most amazing fact about this place is that it is home to 129 species of birds and 75 of them are endemic. We want to remind you: from day 1 to day 19, dinner will be ready at the hotel, where you will have your overnight stay. This time, you will stay at a Camp, during: day 10 and 11. It’s time to get up! Today we will experience new adventures! Early morning will be devoted to the deciduous forest of Ampijoroa. Guess what? 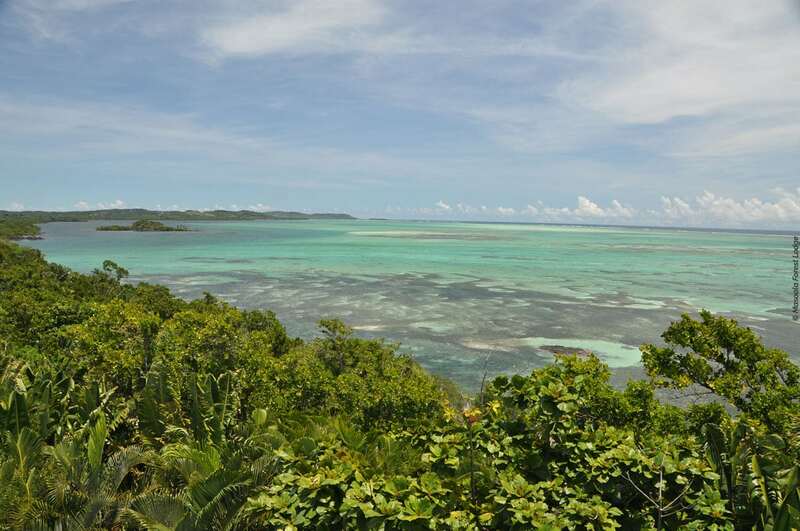 It is also one of Madagascar’s finest bird watching venues. It is simply breathtaking! In the afternoon, we will bird along the Ravelobe Lake to encounter the Madagascar’s fish eagle, the Glossy ibis, the Humblot’s heron, the African darter, the Purple Heron, the Madagascan jacana, the Madagascar paradise-flycatcher and the White-faced whistling duck. Another Bird top list? Van Dam’s Vanga, Madagascar fish eagle, Schlegel’s asity, White-breasted mesite. But also three species of Coua (red-capped Coua, Coquerel’s Coua, crested Coua), Madagascar pygmy kingfisher, Madagascar green pigeon, rufous Vanga, and the amazing sickle-billed Vanga. Reptiles and Frogs top list: Oustalet’s chameleon, rhinoceros chameleon, leaf-tailed geckos. Lemur’s Top list: Coquerel’s sifaka, common brown lemur, mongoose lemur, western woolly lemur, small Indian civet, grey mouse lemur. Ouch… This is our last morning of birding here! After your moment of meditation and your last tour around, we will drive to Mahajanga in the afternoon, where a room will be waiting for you to settle at the hotel. How is it doing so far? Do you enjoy it? Today we will transfer you to the airport to take the flight to Antananarivo. Our tour-guide will welcome you in the capital city and give you lift for a 3 or 4 hours car transfer to Andasibe National Park (144km). 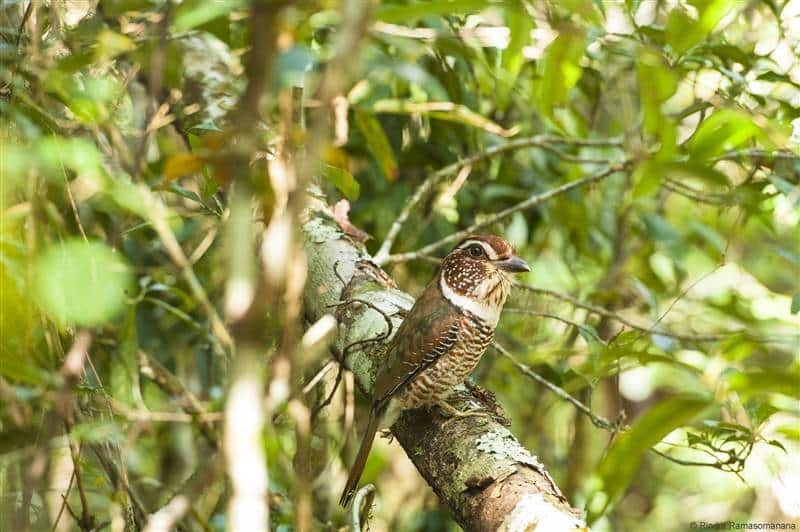 Like Ankarafantsika, this place is well-known for its endemic birds (80% of them are endemics to Andasibe): there are 120 species of birds in the park, for example the Ground roller. 5 species are really endemic to Madagascar, of which 4 are only seen in Andasibe National park. Birds Top list: 4 species of ground-roller (pitta-like, scaly , rufous-headed and short-legged ground-roller), Vanga ( Chabert’s, White-headed, Blue, Red-tailed, Nuthatch, Tylas, Red-fronted vanga), Coua (Blue, Red-breasted, Red-throated Coua), Velvet Asity, Common sunbird-Asity, Long-billed Green Sunbird, Collared Nightjar. Lemur’s Top list: Black and White Ruffed Lemur, Diademed Sifaka, Brown Lemur, Red Bellied Lemur, Indri-Indri, Mouse Lemur, Common Brown Lemur, Hairy-eared Dwarf Lemur, eastern Woolly lemur, Grey Bamoo Lemur , Red-Bellied Lemur. Ladies and gentlemen, today we will visit the special reserve Indri – indri! Believe us, this place is amazing. 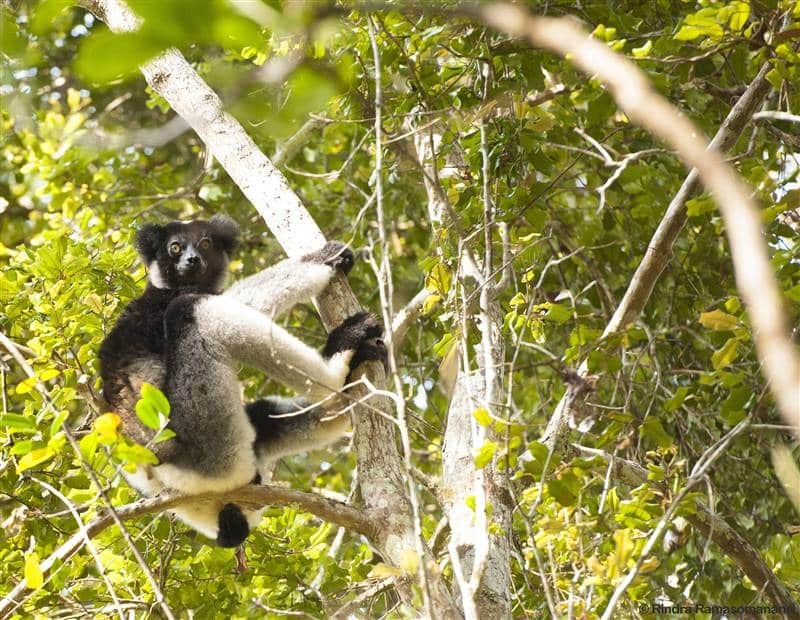 Covering an area of 810 ha, this special reserve is managed by Madagascar National Park and it is home to the largest lemur of Madagascar: the Indri Indri. Once there, you will quickly notice that there are also other species of lemurs, birds, chameleons and frogs. 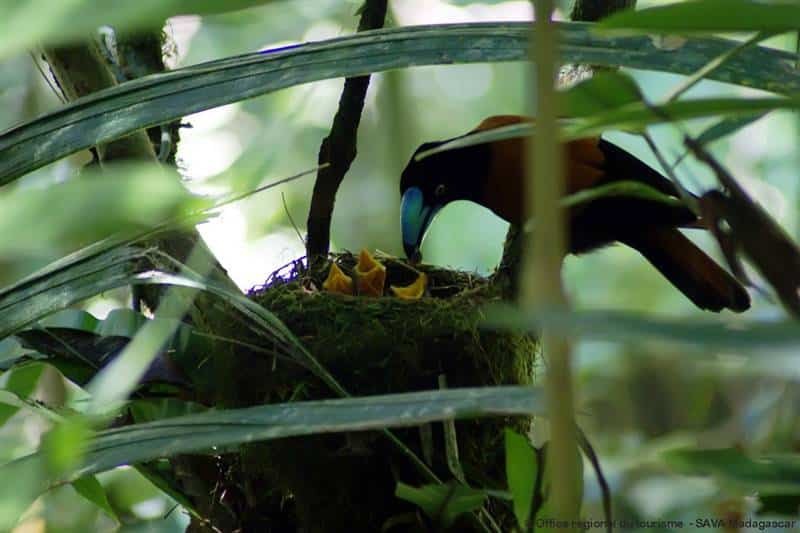 Not only that but it also shelters rich flora which includes numerous medicinal plants, lots of species of orchid, valuable timber species and fern. We will end the day with a night tour to discover some nocturnal birds, lemurs and chameleons. So, how was Andasibe? Here comes our birds, lemurs, reptiles and frogs top list. As it is our last day in Andasibe, check out how many species you’ve spotted! After a last birding tour, we will transfer back to your Antananarivo hotel. (144km – 3 or 4 hours). 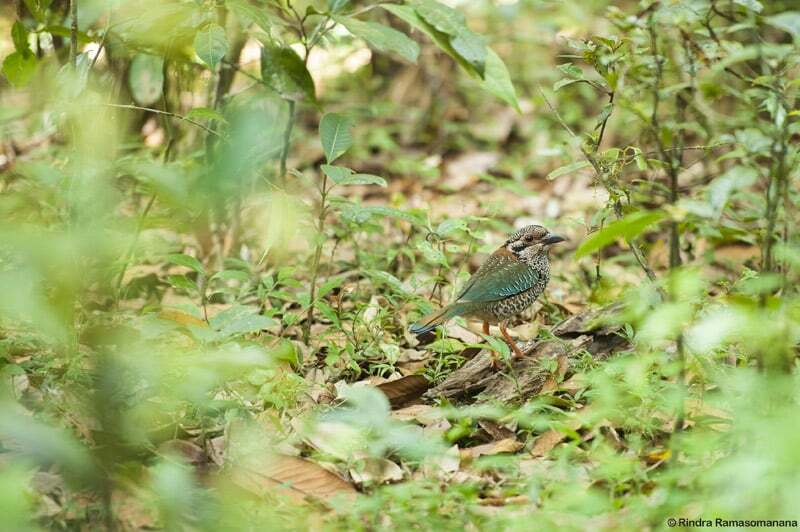 Birds Top list: 4 species of ground-roller (pitta-like, scaly, rufous-headed and short-legged ground-roller), Vanga (Chabert’s, White-headed, Blue, Red-tailed, Nuthatch, Tylas, Red-fronted Vanga), Coua (Blue, Red-breasted, Red-throated Coua), Velvet Asity, Common sunbird-Asity, Long-billed Green Sunbird, Collared Nightjar. You are about to have a flight to Maroantsetra. Please note that you can flight to this town: only on Monday – Wednesday – Thursday. Then, from the Maroantsetra airport to the Masoala Forest Lodge, you will have a transfer by car to the small port before enjoying a boat transfer to the lodge. The boat trip takes between 1 – 3 hours. When you arrive, you will be free to swim or walk along the beautiful beaches. This is the right time to take pictures; these moments are memorable and should not be forgotten. Did you bring your hat and your sunscreen? In the late afternoon, the sunset over the sea is just SPLENDID! 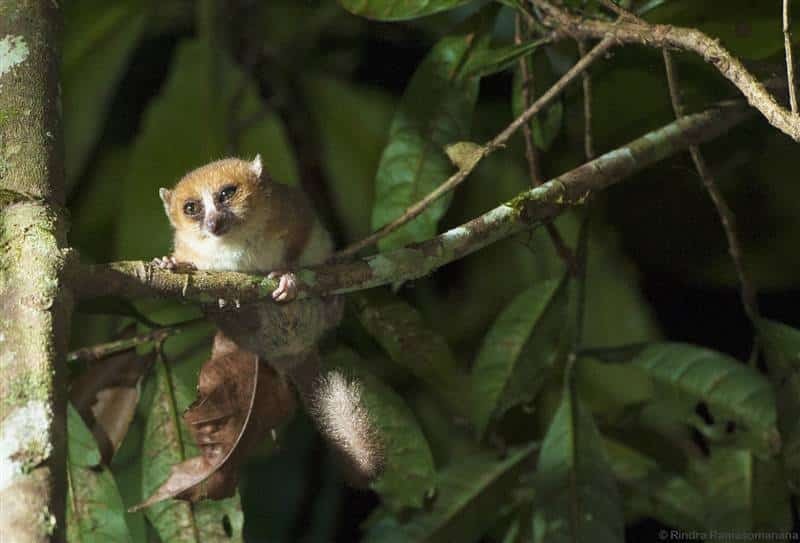 Do not go too far, at twilight; you will be able to see some of Masoala’s secretive nocturnal wildlife such as the Leaf-tailed Gecko or the Dwarf lemur and the Mouse lemur. Don’t worry, once there, you will have time to settle at your hotel where you will have dinner and stay overnight. Lemur’s Top list : Black-and-white ruffed lemurs, white-fronted brown lemurs and mouse lemurs, aye-aye. Birds Top list : Not particularly diverse or abundant: Helmet Vanga, red owl. 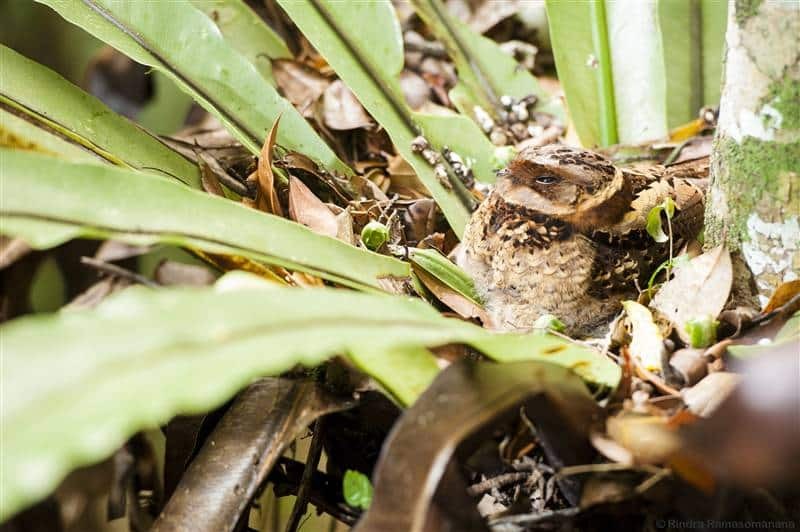 Reptiles and Frogs top list: The best place in Madagascar to see the leaf-tailed gecko, pygmy stump-tailed chameleons, panther chameleon, green-backed frogs and mantella. You are right: Masoala is beautiful. What you’ve seen yesterday was a glimpse of what’s coming next. Today we will leave early to explore the primary rainforest, and look for the Red-ruffed lemurs, the Dwarf chameleons and other endemic wildlife. Then, we will go back to the camp for lunch. After lunch, take time to chill out. Many activities can be done in the surroundings: snorkeling on the nearby reefs within its great underwater diversity. It will even be possible to watch whales if you come between July and September. In the evening, we will delight in a nocturnal walk in the nearby coastal forest and spot some more wildlife (maybe even the elusive Aye-Aye, Youpee!) You will rest at your hotel after dinner. What is your favorite Malagasy dish so far? Lemur’s Top list: Black-and-white ruffed lemurs, white-fronted brown lemurs and mouse lemurs, aye-aye, Malagasy striped civet. Birds Top list: Madagascar red owl, Helmet Vanga, Nuthatch Vanga, red-breasted coua, scaly ground-roller, short-legged ground roller, Velvet Asity. Reptiles and Frogs top list: The best place in Madagascar to see the leaf-tailed gecko, pygmy stump-tailed chameleons, panther chameleon, green-backed frogs, tomato frog, and green-backed mantella. Are you ready to leave? In the morning, we are heading to Nosy Mangabe by boat to visit its special reserve: a tiny island covered by 520 ha of lowland rainforest. You will love this rainforest as it is the best place to see the Black and White ruffed lemurs, the Greater dwarf Lemur, and the Mouse lemur. Enjoy! And don’t forget to take pictures! Lemur’s Top list: Black and white ruffed lemur, white-fronted brown lemur, mouse lemur, greater hedgehog tenrec. 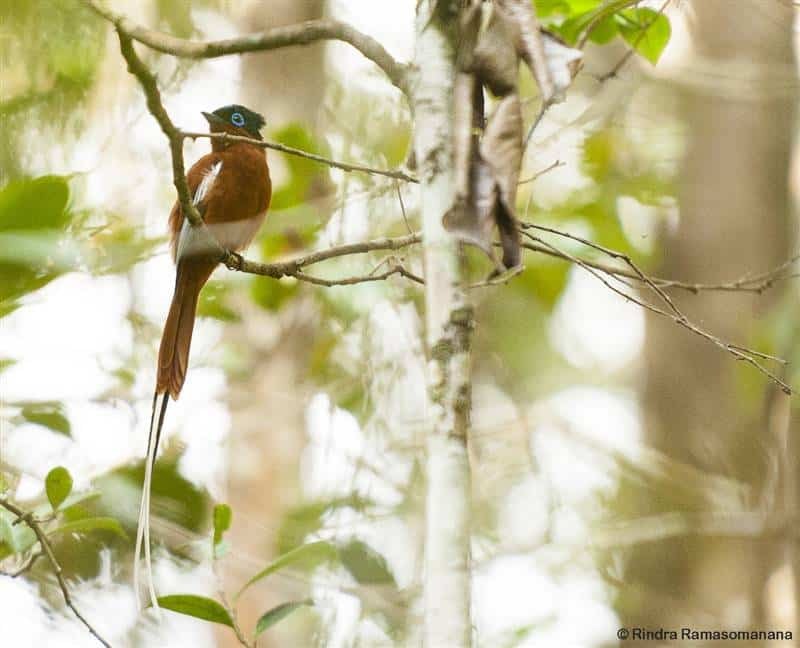 Birds Top list: Madagascar paradise flycatchers, Madagascar bulbuls, Madagascar malachite kingfishers, dark phase dimorphic egrets. Reptiles and Frogs top list: leaf-tailed gecko, pygmy-tailed chameleons, panther chameleon, plated lizard, green-backed matella. 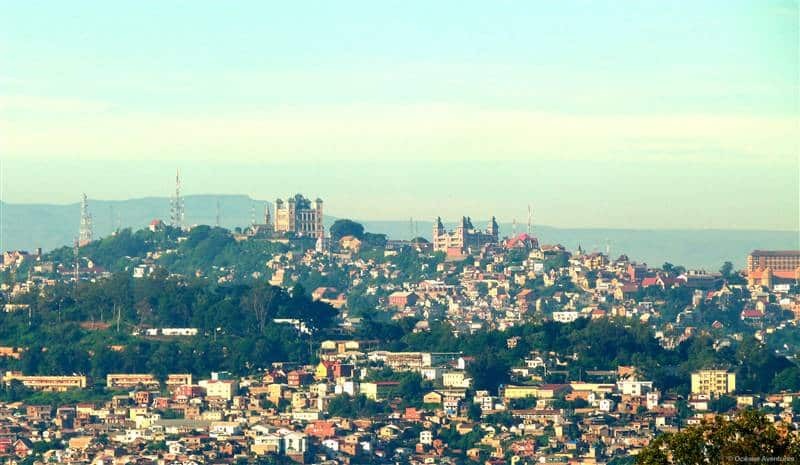 Oh no, you’re right: it is the last day of your trip in Madagascar… Depending on your flight schedule, we will transfer you to the airport to take the flight to Antananarivo. Please note: Flights only on Monday – Wednesday – Thursday. 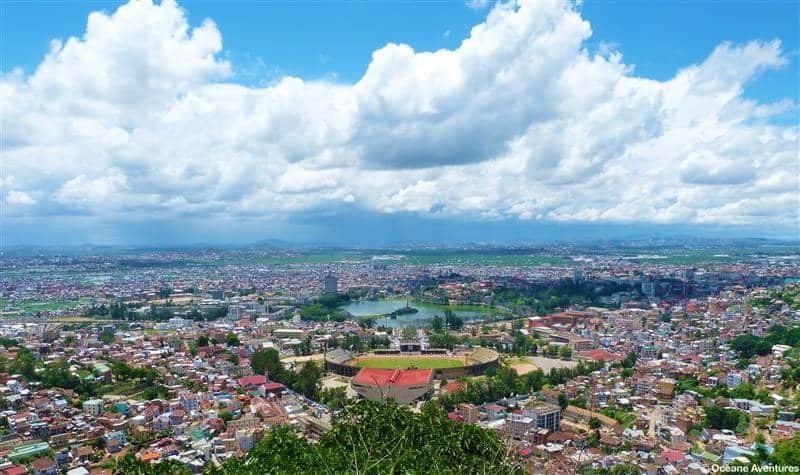 Once in Antananarivo, one tour-guide of ours will be there to assist you to your connexion flight. It was such an honor for us to be your Tour Operator during your stay. We are so happy you made it; you now got footprints in here! For those you didn’t come yet, that was a glimpse of what you will experience here. These are just words; join us to make them come true. The trip will be done with a 4WD vehicle. It is the best transportation to travel through Madagascar. Guests should be prepared for the boat trips and forest walks with both sun and rain protective gear and suitable outdoor clothing and footwear. Visiting the Andasibe National Park which is home for a hug variety of birds and has a high endemicity rate. Spotting the largest lemur of Madagascar. 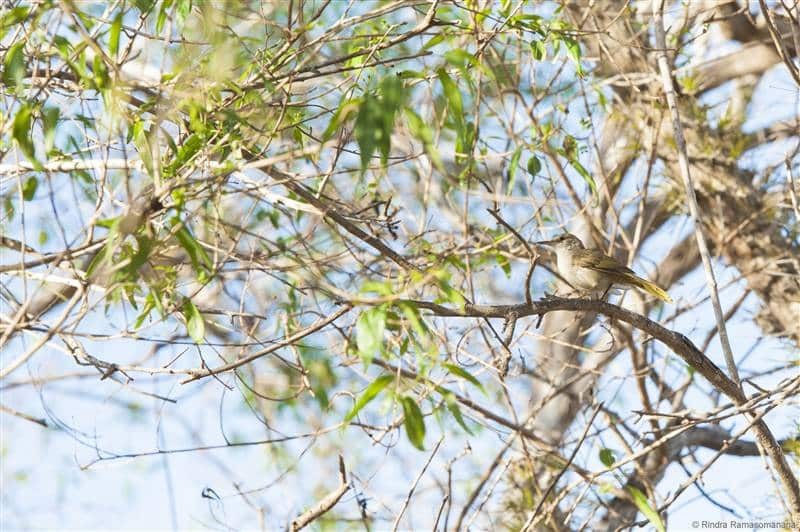 Want to learn about the birds of Madagascar on fingertips? Vangas, Ground Roller, Couas, Madagascar Plover, etc? 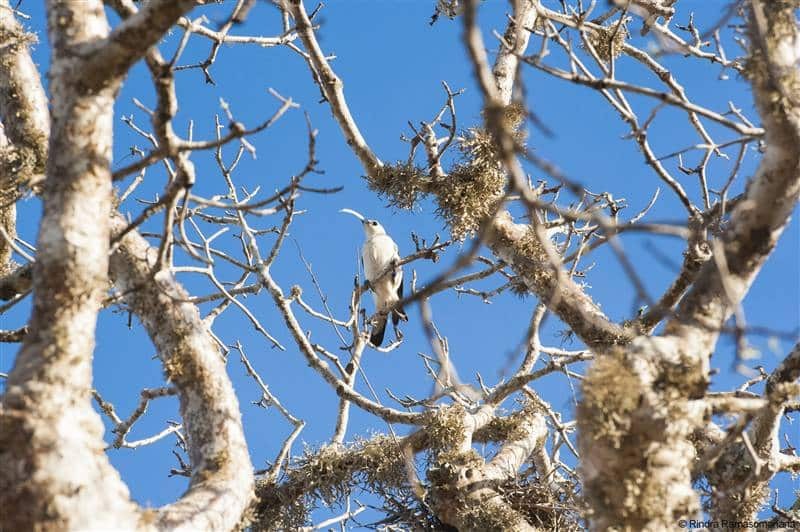 Enjoy all the Madagascar’s bird watching spots and even more during this comprehensive tour. We will explore the south to start our trip. To do so, we will encounter the thorny forest around Ifaty and Toliara, Nosy Ve in Anakao, and the Zombitse National Park. Then we’ll have a road trip along the RN7, and stop in the Ranomafana National Park. Look around you, this is green nature in its primary state: giants green trees, sound of birds and forest all around, and even more: there are lemurs living there! 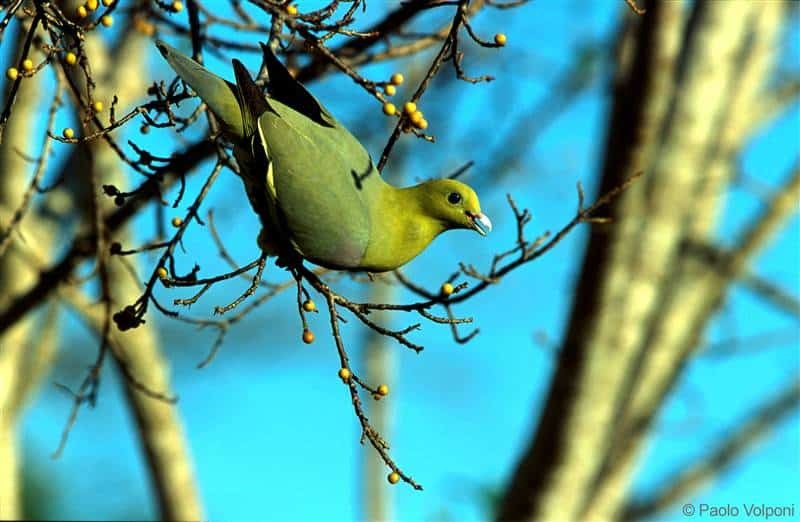 Do you know that Madagascar is home to 265 bird species and that 105 of them are endemic to the Red Island? Wow, this is amazing. This is Madagascar! Then, we’ll take a local flight to reach the Western dry forest where we will have a 2 full days devoted to explore Ankarafantsika National Park. We will finish the trip with strolls in the rain forest of Andasibe and Masoala. In the evenings, we will delight in nocturnal walks for a opportunity of spotting some more wildlife. Want to learn about the birds of Madagascar on fingertips? 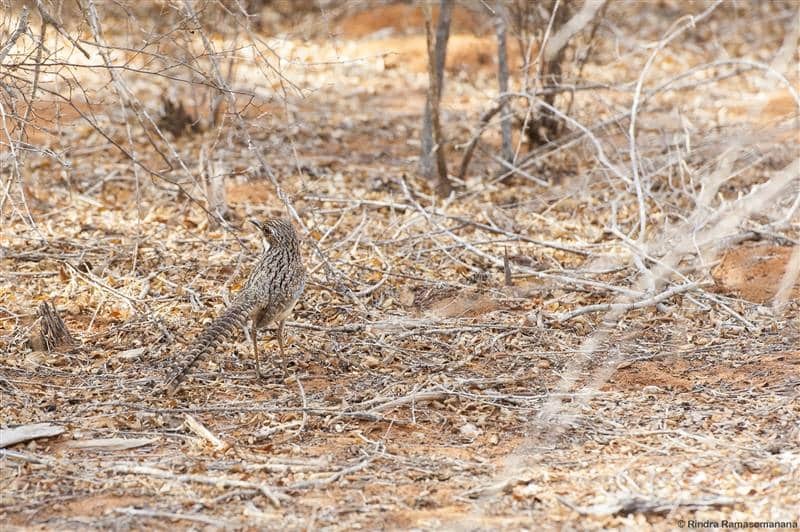 Vangas, Ground Roller, Couas, Madagascar Plover, etc? Follow us.